What does a cooking class look like? 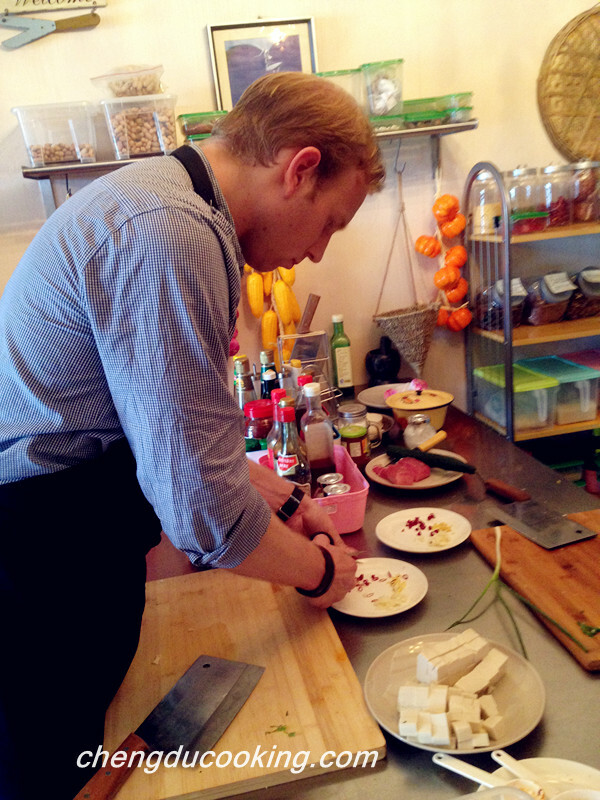 Home » Blogs » What does a cooking class look like? At first, the Chef will take you to explore the local wet market, and you will see how the local people buy the food materials in the market. Introductions of the seasonings, spices and ingredients will be shared with you during the tour. You will also learn some tips of how to choose the best ingredients. During the tour the fresh ingredients will be purchased at the same time. At the very beginning, the chef will explain to you the basic knowledge of Chinese food - seasonings and cooking methods. The Cooking Recipes will also be delivered to you. At every dish cooking section, the chef will demonstrate the cooking details step by step. After that you will cook your own dish with the chef’s assistance at every step. Now it’s time to enjoy your meal.